Rank your website for your SEO keywords and increase positive actions when you show up first in Google! 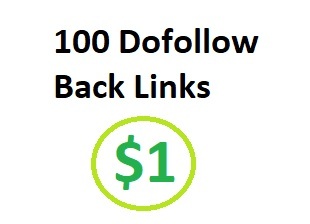 This service offer you submit your url to 100+ do follow sites and really it's only for $2 for basic service, for more doffollow link you can buy multiple amount of this servie. All backlinks are Do-Follow.